The way of doing business has evolved where there’s no necessity for the businessmen to meet people to generate more leads. Social media campaigns has become common term for all business. Where does your target audience reside? For many business it is social media. Social Media have gained lot of attention in the past few years. According to a recent report by Hubspot, as much as 92% of internet marketers consider their social media marketing strategies as vitally important to the business they are promoting. Over 50% of all marketers who have turned toward social media in the past two years have been able to observe an improvement in their sales, as well as customer count. Suppose if a person want to buy a product online, is influenced by promotional offers, feedbacks, comments, product reviews.Purchasing decisions will be based on these factors. Social Media Channels provide a great platform for all the business to connect with customers. Users visit company’s social media page to contact your business. Being active in social media responding to hundreds of messages and keeping them engaged can be a difficult task. So who can solve these problems for you? Chatbot has become an emerging trend in Business and technology, can be a great asset for social media campaigns. Social media Campaigns differ from business to business based on your buyer persona, investment and goals. Using chatbots in your social media campaigns increases website traffic and sales, offering a new level of customer service to your audience. For example you have a chatbot on your website.A user who visit your product page or landing page will be browsing your content. An active chatbot would greet them with a welcome message and asks about the customer queries, will be able to solve customer queries in quick time. How does customer feel! isn’t it a good user experience? Why you should consider chatbot for social media marketing campaigns? Chatbot allow a seamless interaction which help to keep users engaged. 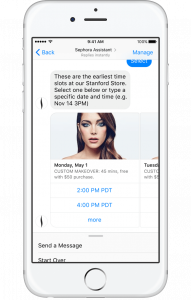 The Facebook Messenger bot is a prime example of how chatbots are engaging users in online chat. Chatbots can be integrated to any messaging platform. Chatbots will be able to understand and interpret what a user may be asking and respond accordingly. To keep customers engaged chatbot can also communicate through images, video, gif. Chatbot help in various ways like handling customer query, can update the latest features of your product to larger audience within quick time, schedule your appointments/call, active online presence, collecting feedbacks from the customer. Chatbot will be able to provide 24/7 customer service which collects necessary information from the user. Analysis of the collected data help the brand to create more targeted campaigns which ensures greater improvement in the business growth. These qualities of chatbot will be able to build brand awareness and enhance customer engagement to generate more leads. Getting started with chatbot is very simple and does not require any coding. Business is evolving with latest automation and adopting all changes that are necessary to outrank competitors. 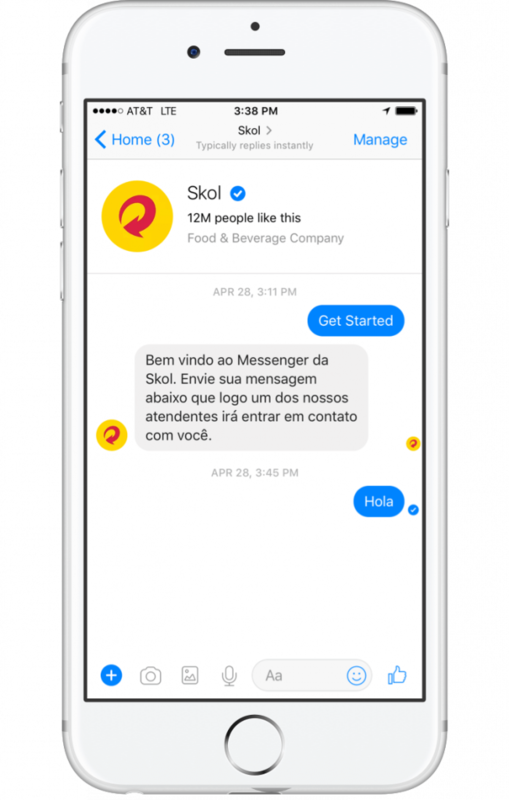 A large number of companies are using chatbot for increasing their engagement on social media. How chatbots can leverage social media marketing campaigns? Chatbots can be classified into two types one with programmatic kind of chatbot performs a human-to-chatbot conversation and the intelligent chatbot able to adapt to the behavior of customers over time. Intelligent chatbot will assist customers like a human consultant with advanced technology AI. The chatbot initially takes time to understand human conversation. As it talks to more users it will get to know the audience and improve their behavioral conversation. Intelligent chatbot acts as a useful resource for your target audience. The business owner can provide the chatbot with details about their particular brand, products and services they offer. Chatbots utilize this information in order to provide knowledgeable answers to customers. To move people into your bot, have a link to a freebie for new subscribers. For instance, the company who created the fitness watch might say, “Are you interested in learning how to increase your fitness level and decrease your fat percentage? I’ve got a free report.” Show a picture of your freebie, too. Chatbot Assistant– chatbot will be able to communicate in an effective manner.By using CTA in your Chatbot helps us to do numerous things like invite users to ask questions, conduct polls, invite users to provide reviews about your product, can run a contest. Monitor Performance– chatbot monitor all the activities of social media.it keep tracks of all the analytics of the customer help in generating more leads. With the help of chatbot analytics, you can track Location, Age, Gender, Product preferences. Pro-active engagement– answer and address problems quickly and help in positive interactions with personal attention. Implementation– Bots are implemented in many platforms including Twitter, Kik, Slack, WeChat, and many others. For example, chatbots can build user listings, like email list, can send forms, PDF files and worksheets besides text chats. All of these features can be used as part of various marketing campaigns of a brand. As bots become equipped to handle text content, the human side can focus on providing richer ways to engage, including virtual and augmented reality. Bot will improve the chances of converting prospects into leads. Using chatbot in your social media campaign can be a perfect way to start to outrank your competitors. Thanks for posting the innovative guide of using chatbots. I also believe that chatbots are an incredible tool to use in your social media strategy. The best reason is the ease with which customers can get info./purchase product or service being on the social media platform. Thank you for sharing such a nice article, it is really a helpful post regarding social media campaigns.